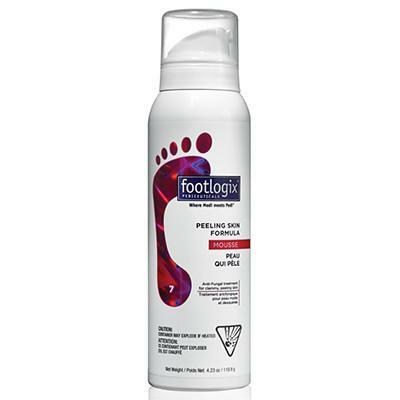 Footlogix® 7 PEELING SKIN FORMULA Mousse contains an effective anti-fungal agent. 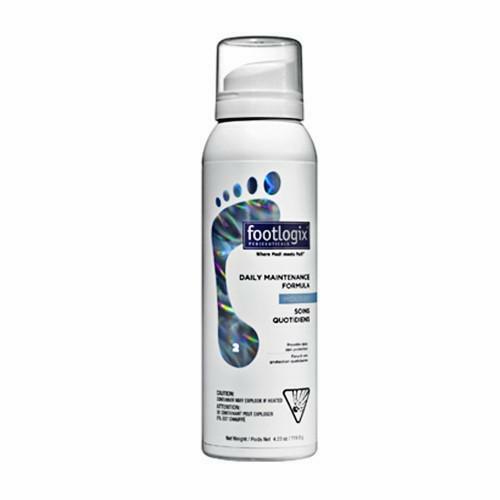 Provides relief of peeling skin on the soles and between the toes caused by Athlete’s Foot or fungal infections. • Stops the embarrassing peeling of the skin on feet. 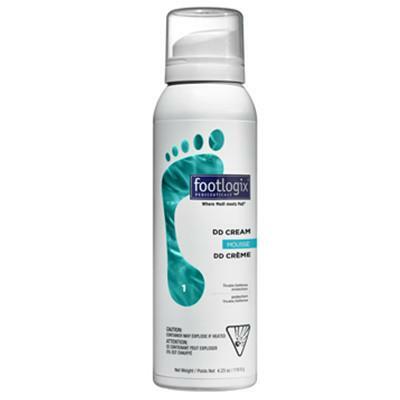 Dispense a walnut size amount of foam mousse into palm of hands and massage evenly onto feet paying special attention to heels and toes. Can be used morning and/or night or as often as desired. Should be used at least once a day.